This summer two members of the Tile Choice team are going to be doing a sponsored bungee jump to raise money for two very deserving charities. On June 21st Gavin Maiden and Martin Jeavons will be taking part in a 150ft Bungee Jump as part of the ‘Compton in the Park’ event which is being held in West Park, Wolverhampton. They are hoping that people will really get behind them and support them in their jump with donations so they can raise as much money as possible for Compton Hospice and Promise Dreams, the charities they have chosen to support. So what do these charities actually do? Compton Hospice is a fantastic organisation working within Wolverhampton and the surrounding areas. For more than 30 years now they have been supporting patients facing a life-limiting illness, and their families. They aim to help make a difference in people’s lives when their illnesses are no longer curable. They provide a number of valuable services to the patients they care for and their families which include; in-patient care, home care support, physiotherapy and bereavement support. They provide all of these fantastic services free of charge to a catchment area of 1.3 million people!! Continuing to provide all of these costs over £6 million each year of which only a third is supported by the government so fundraising is vital. Promise Dreams is a Wolverhampton based charity which was founded in 2001, they work with seriously and terminally ill children across the UK trying to put a smile on these children’s faces by making their dreams come true. People can apply to them on behalf of a child and promise dreams will try to make that child’s dream a reality, helping them to create some happy memories in even the toughest of times. The whole company is supporting Gavin and Martin. 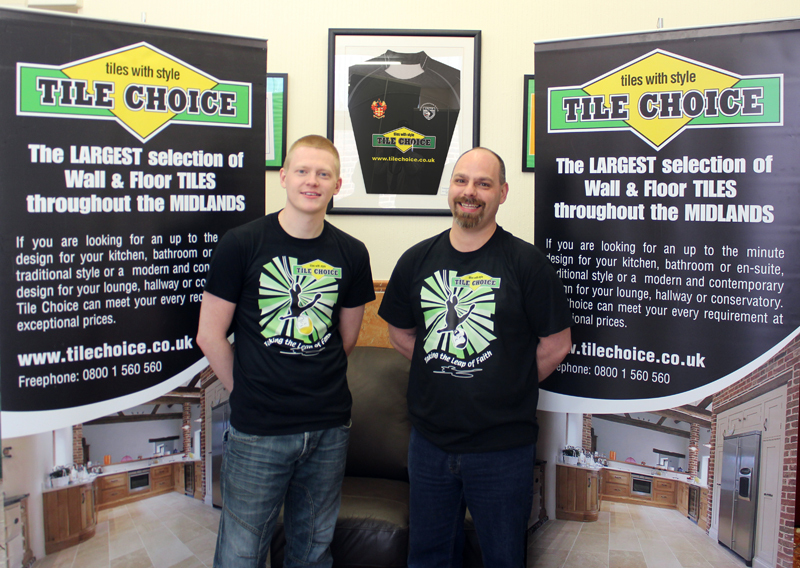 All 15 Tile Choice stores will have donation buckets in and there is also a Justgiving page which will allow anybody to donate. The Justgiving page can be found here below.